Commander (2016) is mere days away, and it's got the potential to alter the format forever. 1. Commander isn't like other formats. Players build 100-card decks. Decks may contain no more than one copy of any given card. Games begin at 40 life rather than 20. Decks are built around one creature known as a "Commander." The creature must be legendary, and all other cards must share a "color identity" with it (a color identity is determined by any mana symbols appearing on the card). Commanders don't work like normal creatures. They begin the game set aside in what's called the "Command Zone." Players can cast them any time they could normally cast a creature, and any time they would die or be exiled, they're returned to the Command Zone. Find out more about Commander, including the banned card list, here. 2. Commander (2016) is an instant entry point into the format. Each deck in Commander (2016) is a preconstructed, fully playtested, ready-to-go inlet into Commander. It's a great place to start for any player who's curious about the format. 3. 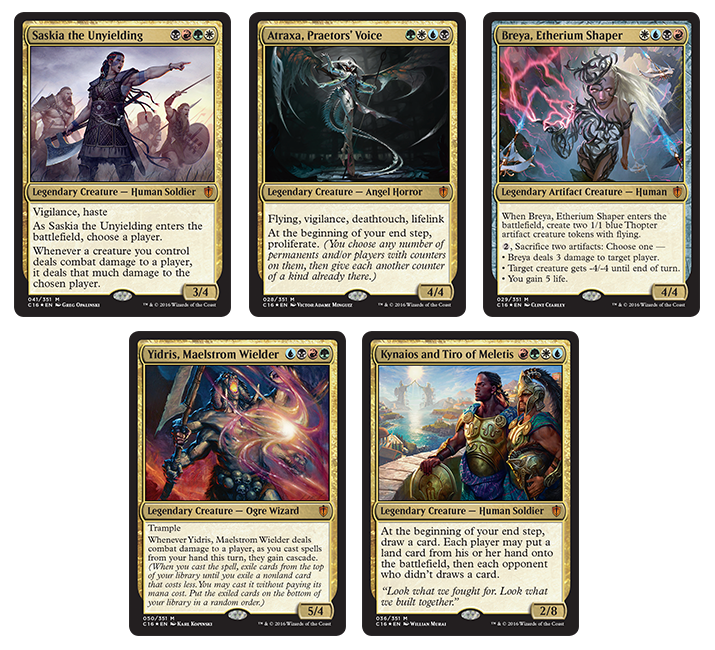 The set contains four-color legendary commanders. These cards could potentially alter the format forever. Five decks equals one commander for each of the five possible four-color combinations, something players have been anticipating for a long, long time. 4. You can get credit for Commander events if you schedule them in WER. 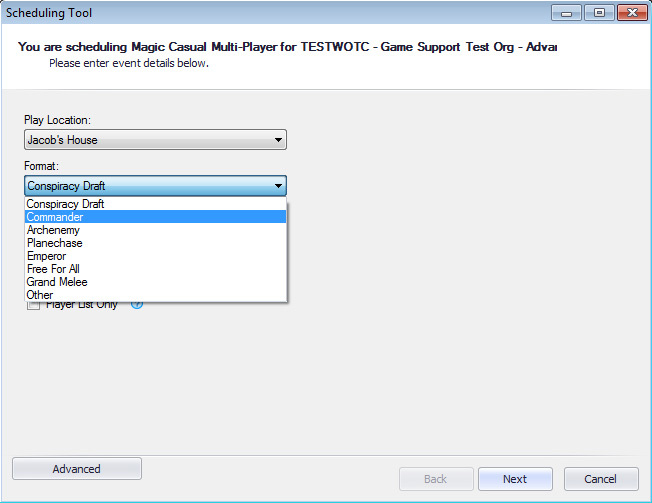 Go to "Magic Casual Multiplayer" and choose "Commander" as the format. It can help maintain your WPN level. When WPN level requirements were updated last December, the principal change was the requirement for total events run: twenty-four for Core level stores, forty-eight for Advanced level stores. Sometimes there's confusion about what counts toward your event total. For example, a lot of organizers are under the misapprehension that an event needs eight players to count. Not so. Casual events, like a four-player pod of Commander, count as well. A lot of stores run special Commander events to celebrate the release of each new installment—definitely something to consider.